Mr. Tommie Lewis, 66, of Red Springs, NC was born September 8, 1952 in Robeson County, North Carolina. He entered into his heavenly home on Thursday, February 07, 2019 at Southeastern Regional Medical Center surrounded by his loving family. 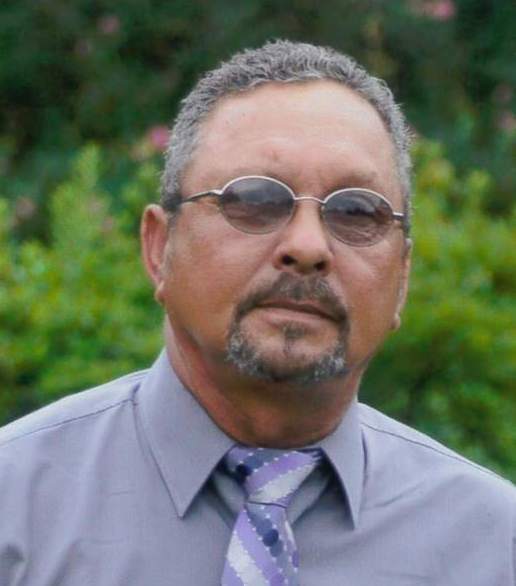 He was preceded in death by his adopted father, Harlis Hunt, adopted mother, Bliggie Hunt, father-in law-, Willie Locklear, mother-in-law, Lillie Goins Locklear, sister-in-law Mary Joyce Locklear and brother-in-law Glenn Thomas Locklear. Mr. Tommy was a devoted and dedicated member to his church Rock of Ages Baptist Church, He was retired from Lumber River Electric Membership Corp; where he worked as a Right of Way supervisor. He leaves to cherish many good memories; his loving wife, Vonnie "Mrs./Sis Purple" Lewis; one daughter Tonya Lewis-Locklear and husband Charles Shaun Locklear of Red Springs, North Carolina. One grandson Keanu Ian Tommy Locklear of Red Springs, North Carolina; stepmother- Minnie Hunt. five brothers, Michael Lewis of Whiteville, North Carolina, Lewis Hunt and wife Abby of Chadbourn, North Carolina, Eddie Hunt and Ray Hunt both of White Oak, North Carolina and Bobby Hunt of Florida. three sisters: Gladys Hunt and Teresa Hunt both of Florida and Carrie Mae Hunt of Lumberton, North Carolina two special brother-in-laws, Leon Locklear and wife Caroline, of Red Springs, North Carolina; Eartle " Jeff" Goins and wife Bonnie, special sister-in-law, Judith Locklear, three special pets, Chico, Sadie and Chloe, nieces and nephews and a host of other relatives and friends.